A comprehensive guide to the powder capital of Australia: Mount Hotham. 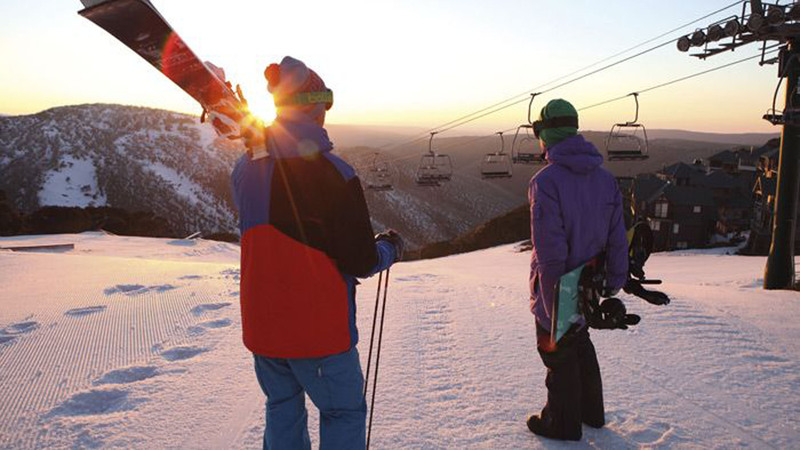 Known as Australia’s ‘powder capital’ and boasting 320 hectares of skiable terrain comprising a mix of steep and diverse valley runs, Hotham is suited to skiers and boarders of all abilities – and offers a social and exhilarating way to stay fit and healthy this winter. On the mountain, enjoy Hotham’s spectacular ridge top village location and accommodation, and experience the ultimate ski in/ski out snow destination while enjoying 360-degree views of the surrounding Australian Alps National Park. Down the road in the quaint village setting of Dinner Plain, charming chalets and houses to suit every budget and group size await. Along with the buzz of a day skiing and boarding, Hotham has plenty of active pursuits to get you moving this winter. Offering outstanding views and crisp mountain air, cross country skiing and biathlon are wonderful ways to explore the Alpine National Park. With over 35 kms of trails and circuits ranging in length from 2km to 15km, Hotham and Dinner Plain can accommodate all cross-country skiing fitness levels. An added bonus, there are no trail fees for cross-country skiing at the resort and equipment hire is conveniently available from Dinner Plain. Sled dog tours provide another unique and thrilling way to explore the pristine surrounds. Run by Australian Sled Dog Tours, a small business with six Siberian Husky sled dogs and a full-time driver, a tour covers three to four kms and can take one adult or two children. Off the slopes, Hotham offers an abundance of unique alpine experiences. Join a Sparkling Sunset Tour and travel to the summit of Mt Hotham in a heated, purpose built cabin on the back of a Kassbohrer and enjoy the splendor of a dramatic sunset. Or unwind after a long day on the slopes at one of Hotham’s two luxurious day spas including Dinner Plain’s Onsen Retreat and Spa boasting an outdoor Japanese-inspired heated Onsen. Add to this, the mountain’s impressive range of restaurants, bars, shopping and accommodation options to suit every budget and you have a standout winter holiday destination. Convenient travel returns to Hotham this winter. QantasLink’s direct flights from Sydney to Hotham (and connections from other cities) are back this season, providing fly-in, fly-out convenience. The airport is also open year-round to charters and private operators. For more information visit [mthotham.com.au](http://www.mthotham.com.au). Is a walk as good as a run?